There’s not much I don’t like about WordPress so far. However, their archiving bugs me. So I created a recipe page, like a table of contents for the recipes. If you are looking for a certain recipe, you can now go to the recipe page to find it, instead of having to wade through the archives. I hope this helps you. I’m sure it will help me. Also, if you have not checked out the page about the conference, please do. I would love to be able to meet all of you Alive and In Person. 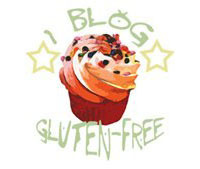 And keep voting for the food allergy/intolerance publication at the Martha Stewart Blog. This would be a great leap for those of us with food allergies and intolerances. Oh babe – I so hear ya on the archiving page. Drives me BATTY! LOVE the recipes page Cass! Looks great!! YOU have been tagged! Check out my site for details!